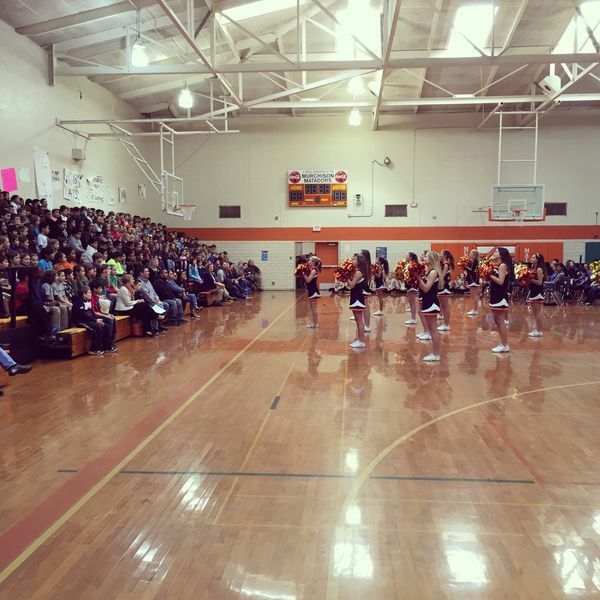 Over 500 5th graders from all our feeder elementary schools came to Murchison today for the '5th Grade Showcase'. The cheerleaders kicked it off in the gym, followed by performances by the orchestra, the choir, the band, and the dance team. Then students moved to the cafeteria where they learned more about technology classes, saw a production by the theater, and heard about our art and foreign language offerings. I'm excited to be the 6th grade AP next year and the students seemed excited to have so many options for classes.